“What are you looking for?” It seems that we are constantly searching. Jesus recognizes that we are looking for answers and invites us to follow him. 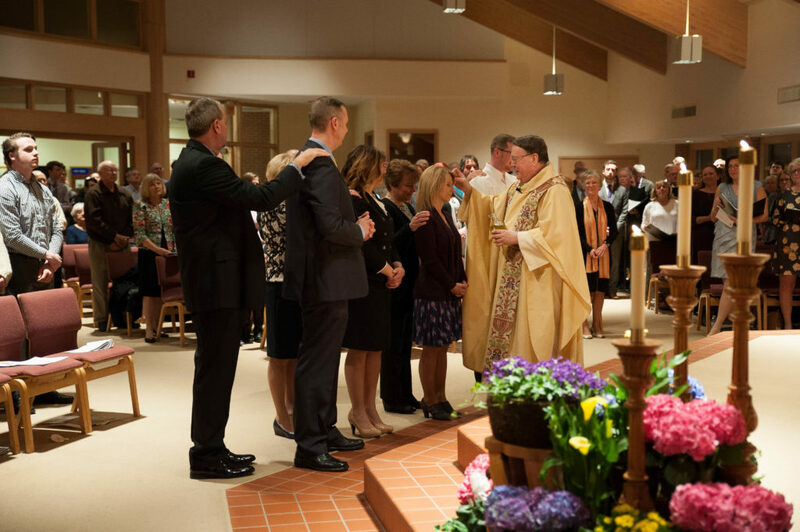 Whether you are married to a Catholic and raising your children in the Catholic Church or have attended Mass with a friend or loved one and would like to explore this faith tradition more deeply, you are welcome to bring your questions to us. Whether an experience of the liturgy or the rich history and spirituality of the Catholic Church is of interest to you, Jesus invites you to come and see where he is staying. Journey is a communal process of spiritual formation for unbaptized adults and older children (or baptized individuals who have minimal exposure to or understanding of the Christian faith and way of life) who seek to become members of the Catholic Church.This process involves conversion of mind and heart as well as immersion in what it means to be a Catholic Christian. In addition, Holy Martyrs offers FOCUS, a special process tailored for those who have much exposure to the Christian faith and way of life but who are drawn to the Catholic Church. If you would like to know more about how you can become part of the great Catholic faith at Holy Martyrs, please contact Janet Payton (for adults), at jpayton@holymartyrs.net or Diane Bruce (children age 7 or older) at dbruce@holymartyrs.net. You can also call 330.722.6633.